The elections of 2014 and the results it brought forth were certainly a game changer for Indian politics. After two decades of coalition governments, a single party has come to power in the Centre with a strong mandate. However, several people have raised doubts about what role the opposition would play as the government has its numbers to push key changes through. Our elected representatives, have a duty to represent needs and concerns of the people in Parliament and participate in the law making process. However, with a strong government at the helm, do MPs of opposition parties have any role in law making? The answer is yes. There are several provisions that ensure that MPs in the opposition get a chance to effectively participate in policy making, even if they are in the opposition benches. They can participate in debates in order to voice the concerns of their constituents or raise issues of national importance. Apart from participating in debates in Parliament and discussing government bills, MPs are also empowered to introduce, Private Members’ Bills. Members of the opposition and the non-ministers are called private members and they can introduce a Private Members’ bill. These bills are different from ordinary bills since these are not introduced by Ministers on behalf of the government and are allotted a specified time for discussion every alternate Friday in Parliament. This intervention gives MPs the power to propose legislative changes in the interest of the people and it can be leveraged to make significant contributions to the law making process and bring to the government’s notice, legislative changes that they think are pertinent. Despite its obvious advantages, this intervention hasn’t been successful. This can be inferred from the fact that till now only 14 Private Members’ Bills have been passed, the last being in 1970 under Nehru’s government. Even discussion on these bills has turned out to be infinitesimal as compared to the number of bills introduced. According to a report from PRS Legislative Research- only 17 out of 343, 14 out of 328 and 11 out of 372 Private Member Bills were discussed in the 13th, 14th and 15thLok Sabhas respectively. The possible reason for this could be that with the emergence of coalition governments, the majority party in the government was skeptical of the difference of opinion such bills would create among its own party and the coalition partners. If these differences in opinion were to be made public, not only would it throw poor light on the ruling party, which is supposed to be a united front, but also lead to internal dissensions within coalition partners over support to issues that these bills discuss. 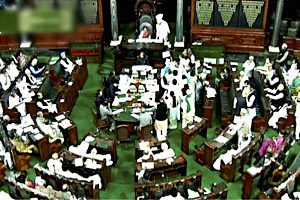 Since successive governments have given low priority to this intervention, private members’ bills are only discussed on alternate Fridays of a Parliament session. Despite the shortcomings, one positive take away from the data given above is that the numbers of Private Members’ Bills being proposed are still high, which means they remain an important intervention to bring to light various issues which need immediate attention. For E.g: In 2008, one of the Rajya Sabha MPs proposed a bill to fix minimum number of working days for Parliament in a year to be 130 days. This could help Parliament clear the backlog of several crucial legislations that have been pending for several years. A private members’ bill to amend the Information Technology Act and its broadly worded Section 66(A) was submitted to prevent the misuse of the legislation which had led to several arrests in the country and has led to an outrage as it impinges on people’s freedom of speech and expression. Another bill was moved in 2010 to amend the anti-defection law which would provide freedom of expression to Parliamentarians in various instances except in the case of no confidence motion and money bills. This will prevent them from losing party membership in case they hold a different stand on any issue. In conclusion, I would like to say that the onus lies with the new government to ensure that the platform of Private Members’ Bills doesn’t fade into oblivion and is instead strengthened to ensure participation and consonance of the opposition MPs, which our Prime Minister has highlighted as being crucial for his government.